NSA Destinations (NSAD) has created yet another phenomenal escape for you, family and friends you love! 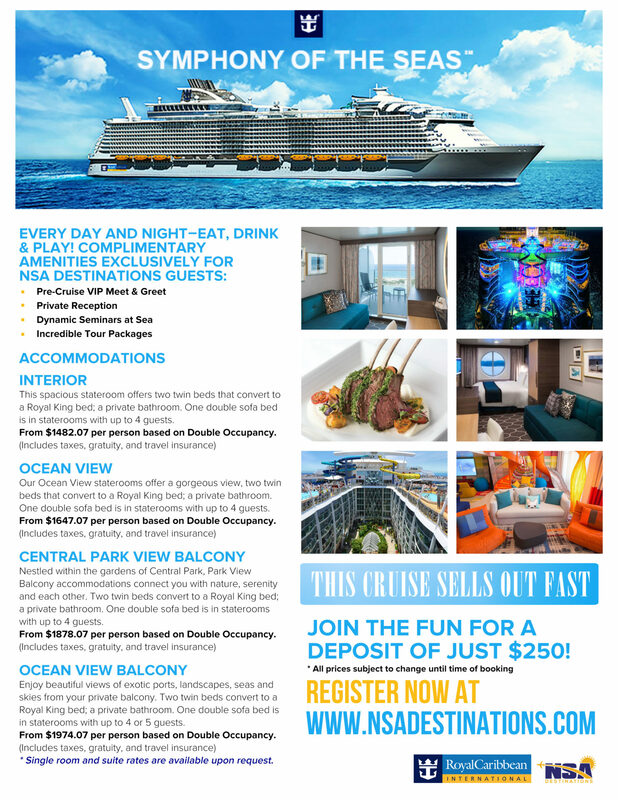 We have a relaxing, fun-filled itinerary in store for you in 2019 as we set sail upon Royal Caribbean’s newest and most luxurious ship, the Symphony of the Seas — The largest ship on the ocean! 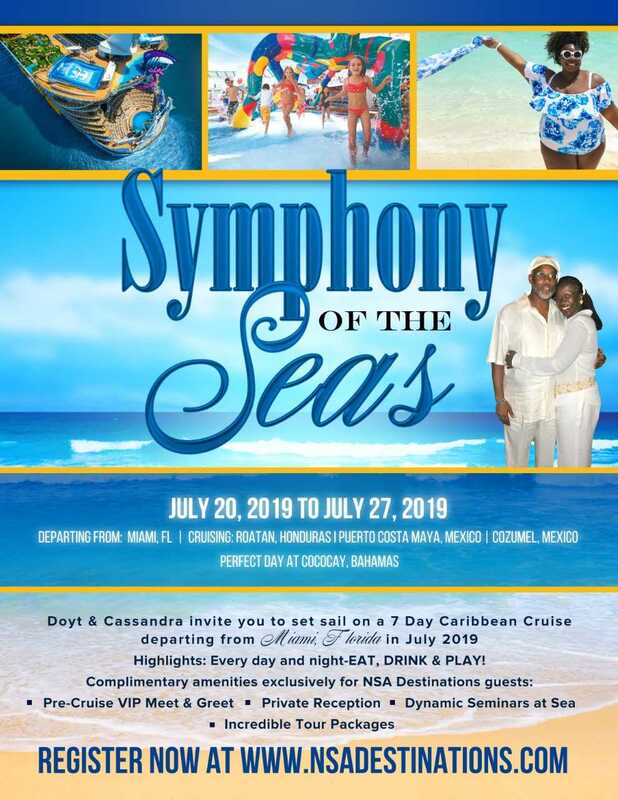 You will depart from Miami, Florida on July 20, 2019, for a 7-day Caribbean Cruise to Roatan, Honduras, Puerto Costa Maya and Cozumel, Mexico, and CocoCay, Bahamas. We’ll even have 2 entire days at sea so that you may explore the gorgeous ship! Next Step Associates © 2018 Website Created By Micae Brown Sales Agency. Our Job Is To Help Your Organization Reach Its Goals.